Sound recording these days can be performed by anyone with a mobile phone, but sound recording was not always available for the common man. The history of sound recording, and the evolution of recording devices, went through a lot to reach the point where it is now small enough to be integrated into mobile devices and sophisticated enough to be used to produce music, movies and effects, Here is a short trip down sound recording history. Sound recording was born not out of people’s need to hear music or their own voice, but by scientific reasons. Early recording devices were created to function as scientific audio equipment, aiding scientists in studying sound waves by recording different kinds of sound. This included including human voices. One of the most notable of these early recording devices was the Phonoautograph, created by Leon Scott in 1857. It was later used by Alexander Graham Bell to study how the human ear can detect sound. Early recording devices did not really produce quality recordings. Most of the recordings were not even long enough to last a second. 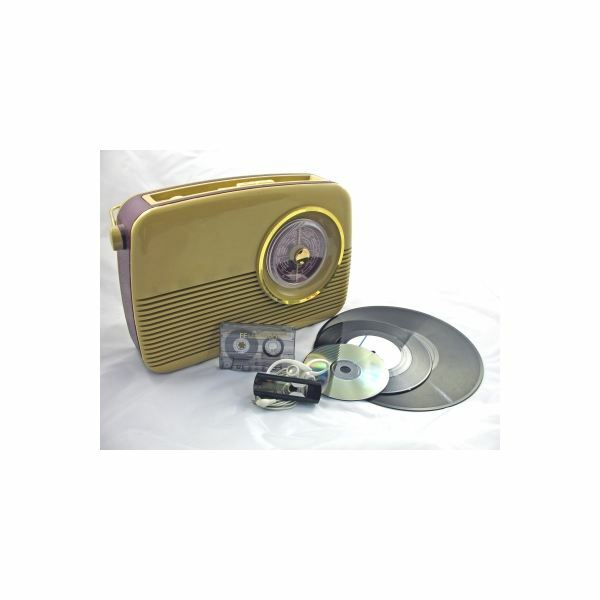 Recording devices that were develop later like the phonograph and the graphopone offered more quality and were eventually used commercially. In their early days, recording devices were mostly used at home, in the scientific community and in the military. Recording sound and reproducing it became an invaluable taks during the two world wars. However, in the beginning of the 1920s, sound recording started to become an invaluable tool in producing music and movies. Particularly in the movie industry, recording sound became in integral factor in moving cinema technology forward. Sound was recorded directly into films, becoming a standard in filmmaking up until the 1980s. Although the phonograph and sound recording methods that involved optics would flourish for several decades, the history of sound recording shows us that magnetic recorders took consumers by storm because of the ease of use. They even provided movie and music makers an easier way to edit their recordings. Thanks to magnetic recorders, sound recording became popular among the common consumers, booming eventually in the 1950s. Low costs of consumer grade recorders was also a factor for sound recording to become widely accessible for all kinds of consumers whether for personal or professional use. By the late 1960s, the technology of sound recording had gotten to a point where musicians could release different versions and mixes of their songs as singles or full albums. Noise reduction and overall music quality improved, bringing rise to big recording studios and thrusting musicians into super-stardom. Recording sounds, particularly music, became more in demand with the improvement in distribution methods such as cassette tapes. Being portable enough to be carried anywhere, music produced more demand among consumers, driving sound recording and distribution technology further. The digital revolution began in the 80s, making sound recording easier than ever before. As the 90s and the 00s came, distribution of and recording of digital content became available not just for professional music producers but for the ordinary man as well. With easier and downloadable programs for recording, editing and publishing of sound, sound recording has become an omnipresent force in various cultures whether it is for scientific use, music or personal needs. Sound recording history is not over yet and keeps getting better.